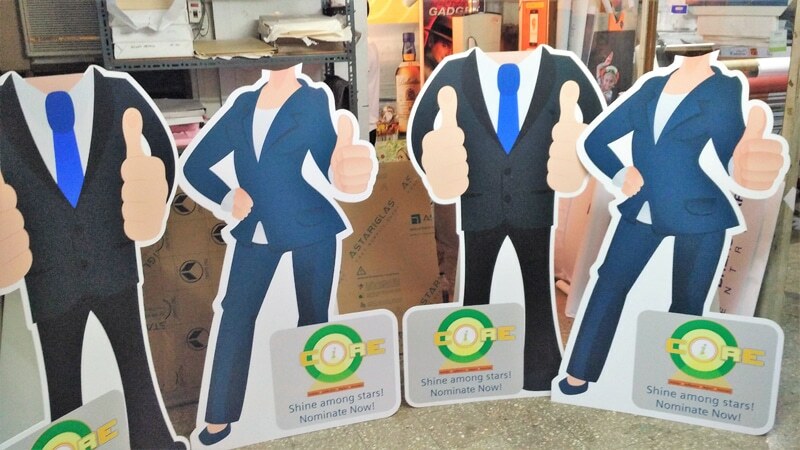 A cut out standee is a novel way to attract potential customers in modern retail stores and point of sale locations. 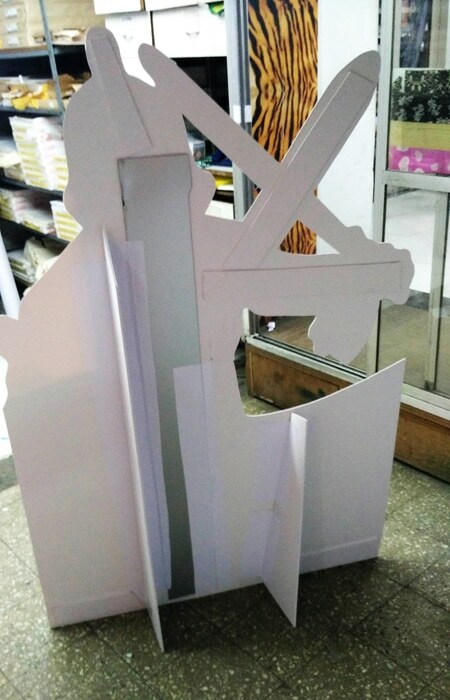 As the name suggests, this display stand is fabricated in the shape of a cartoon, a celebrity or even a product. Eye ball attraction is the name of the game in retail stores. 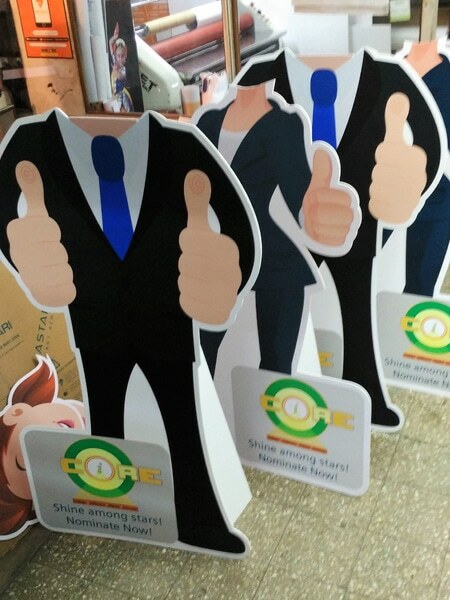 And a shape cut standee will surely gain more attention than ads and posters that are uniformly rectangular. 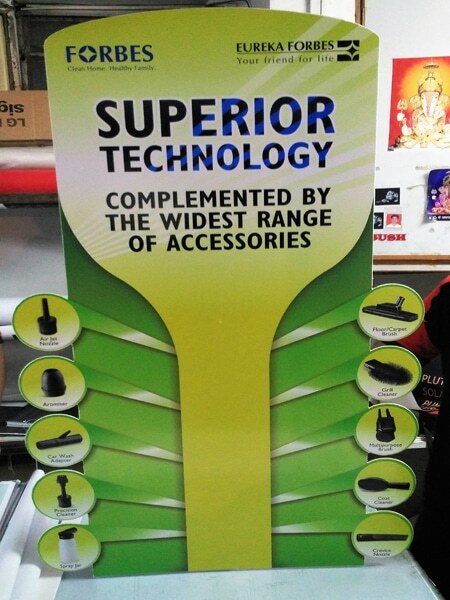 Outdoor displays are mostly in the form of banners or posters stuck on a wall. So a life size sunboard cut out in the shape of a movie star, standing right in the middle of the super market aisle is a sure fire method to generate client interest. 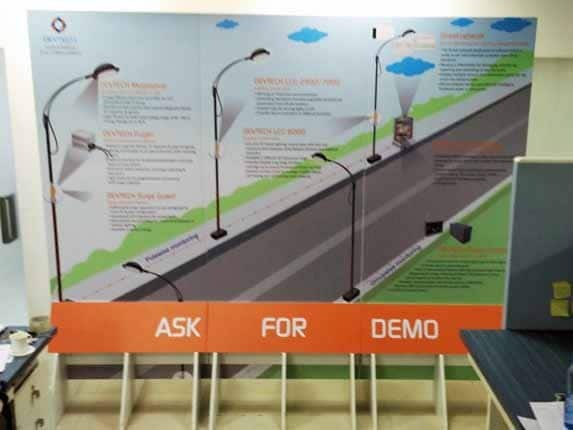 Shown above are pictures of a job done for Siemens India and Eureka Forbes. 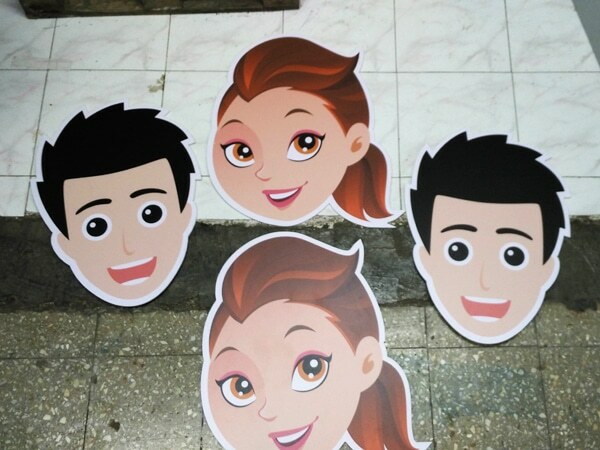 The clients needed these party stands with the faces cut out. The idea was for the employees to stand behind the shape cut displays and get their photographs taken. Put up a shape cut display stand of a rock star, in today’s age of digital narcissism and you’ll probably find teenagers posing for selfies with the same. And if the said rock star is your product’s brand ambassador, you have a cost effective marketing plan working for you. 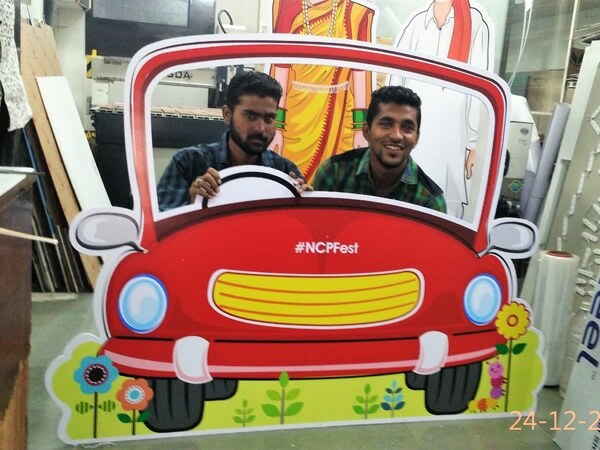 Marketing agencies are increasingly using selfie booths for events, parties and product promotion. Need to print Cut Out Stands? We’ll mail you some price estimates. Fill in the form below to let us know a little bit about your requirements. We’ll get back to you with an estimate of the price for the same. Shape cut stands are pretty cost effective. Moreover they are light weight and easy to transport. Portability is an important factor. 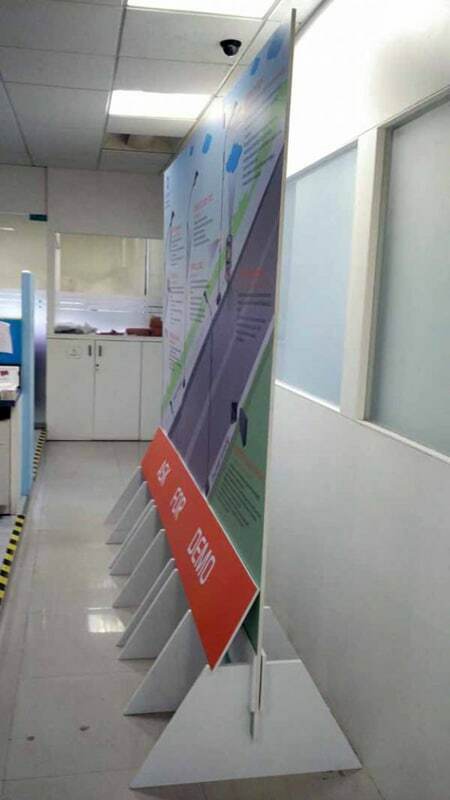 Apart from transportation to remote locations, the shop / floor managers should have no difficulty in setting up the standees. How is the cut out standee given its shape? 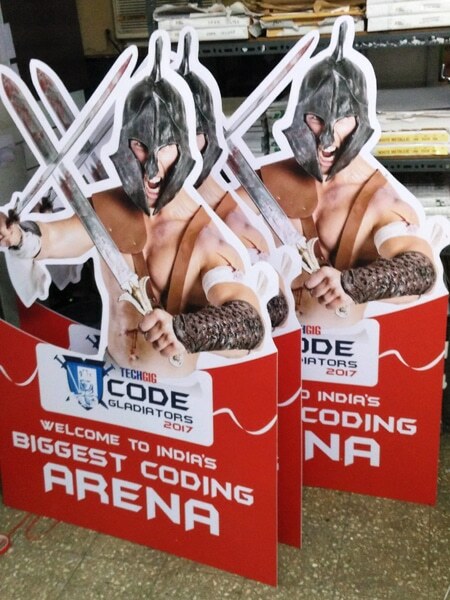 Cut out standees are supported on the back side with a light metal fabrication or a fold able flap of sun board. This flap is very much like the flap stand on the back side of your table top photo frames. 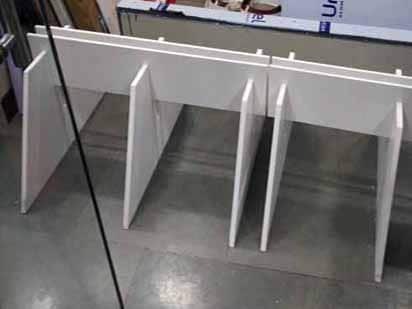 These flaps open perpendicular to the back of the display board, to make it, self-supporting. You can fold these flaps back to a flat position, once your event is over. This makes storage and transportation easier. Hi, I need Bollywood stars cut outs for my daughter’s birthday celebrations. will you be providing them on rent or it would be purchasing? i would 5-6 cut outs if provided on rent for few hours. Thanks Mitesh. Do you have office in Navi Mumbai or Mumbai. So here is a workable alternative. Please click on this link ( https://orchiddigitals.com/cut-out-standee/ ) and take a print of the my blog on this subject. It contains details of the materials used and cost options for the same. Please approach any local printer with the printout of the material specifications. If he is competent enough he should be able to fulfil you requirement. I am in need of Scientist Albert Einstein’s Life Size Cut Out for a Science Exhibition in Tamilnadu. What would be the cost? and Could you please make arrangements to deliver it to Tamilnadu? My prices are pretty competitive sir… please share the images for cutout… will share costings based on the sizes received…. I’m sorry sir. But we don’t. what would be price for Cinderella life-size ( 45in X 64in) , bella (39in X62 in) ,sifia the first( 45in) cardboard cutout . 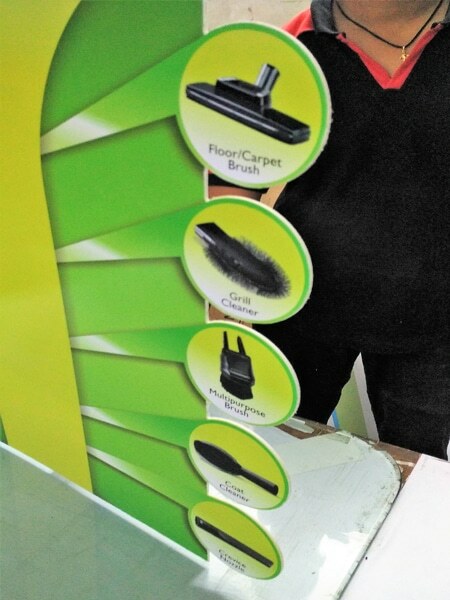 can i get an aluminum stand or any other metal support stand for a standee of size 5’x4′ ? Sir, I want some cartoon cutout for birthday party, Like Micky mouse theme. 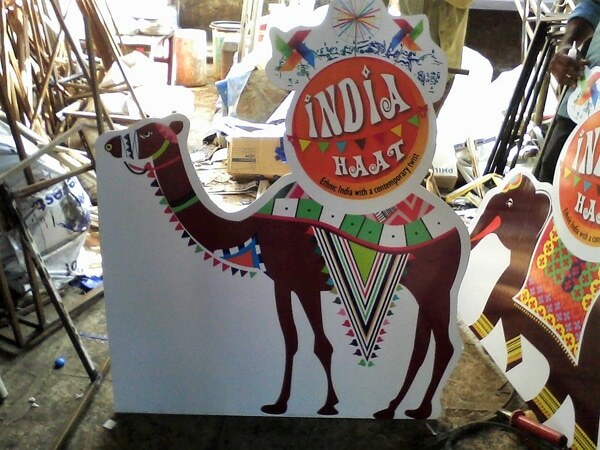 I want Approx 4 ft height nd 2.5 feet width of each carton cut out with 4mm thick . 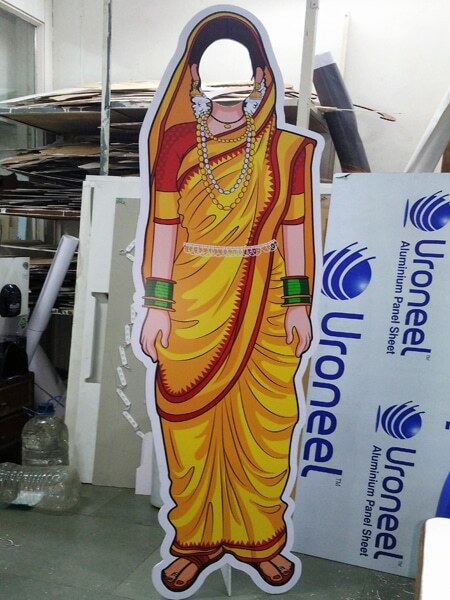 do you ship this cutout to nasik ? If possible then can you send me quotation on below mail ? 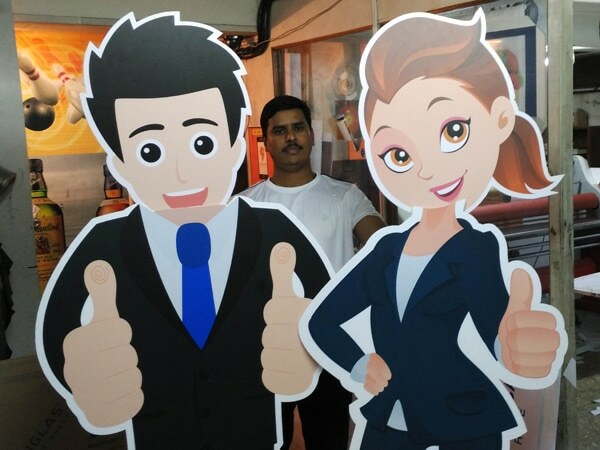 Hello Vikas Sir, A 4 X 2.5 cutout standee will cost 1500/- + 18% GST. Unfortunately we do not ship this outside Pune. 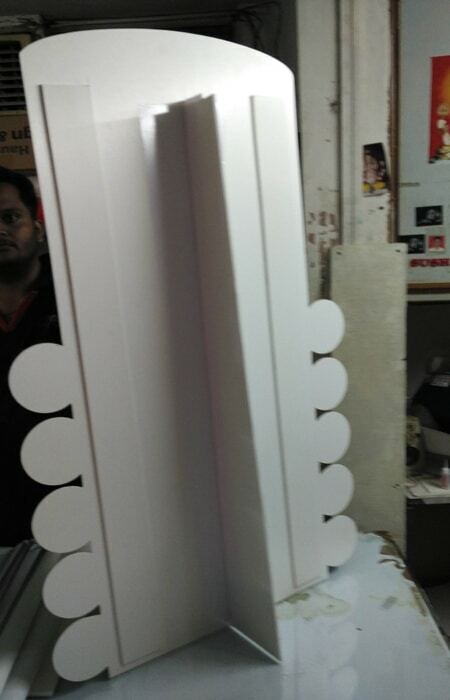 I am looking for small size cut outs for ceiling hangings, can you do it for me in bulk amount in send it to delhi? Hello Prem Sir, Yes we can provide ceiling danglers for you. Can you please share the artwork / size and quantity at sales@orchiddigitals.com. Will get back to you with the pricing. Prem Sir Namaste. Can you please share your artwork and quantities on sales@orchiddigitals.com. Will get back to you with the costings. 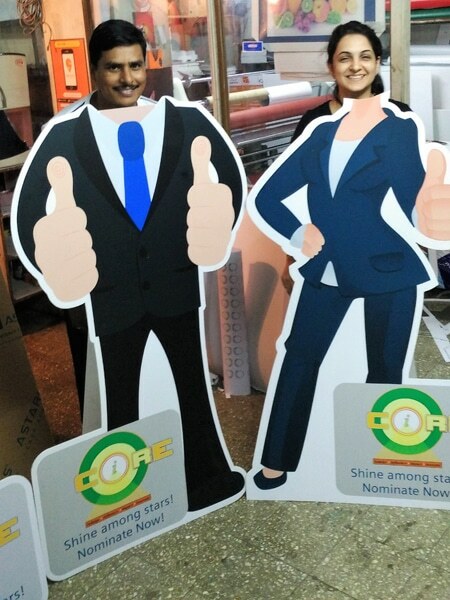 Mr Mitesh, I need a 3ft shape cut standee and other shape cuts of 2ftX1.5 ft and other sizes for a themed party. What rate do you charge for the a) standee and b) other shape cutouts but not standees if non-laminated and of 3mm sunboard? 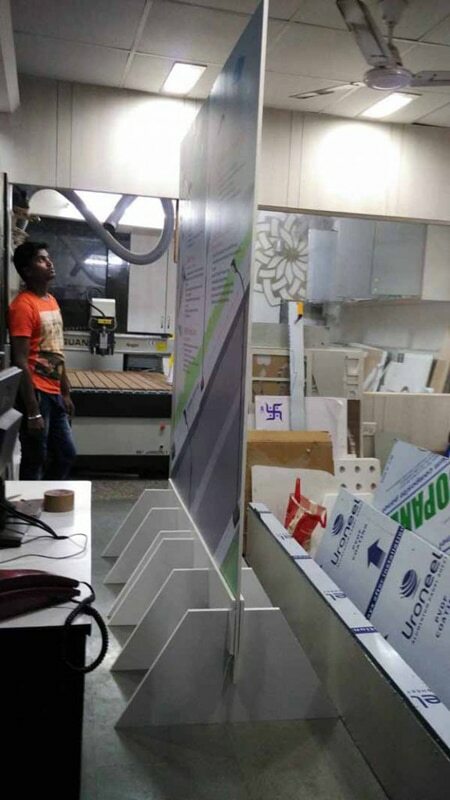 Suganthy Sir, Namaste, a 2 X 1.5 foot shape cut should cost you 450/- plus taxes. But perhaps you might want to rethink this size as the same might prove to be too small. Good day,Mr.Mitesh.This is Dr.Shanti Vijeyapall,placed in Pithapuram,Andhra pradesh. My question is, is it possible to ship it to Andhra pradesh? Hello Dr. Shanti, Unfortunately this product tends to break in transit. Can you use the info provided in this blog post to source the material locally?